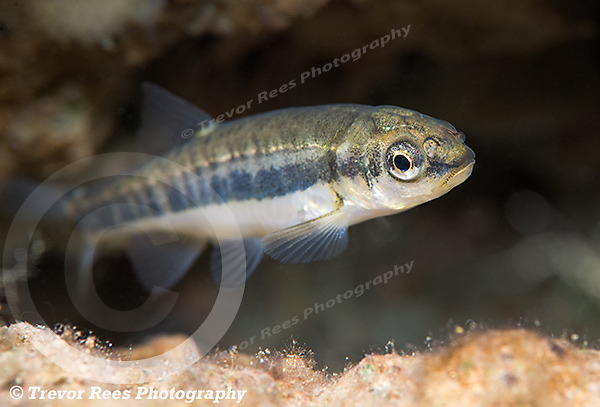 The common minnow (Phoxinus phoxinus) photographed at Cromhall quarry in Gloucestershire. Minnows are part of the cyprinid group and the smallest fish in this carp family. They are pretty, darting fish, often seen in small shoals.